We offer confidential assessment and referrals at no cost to you, 24/7. Forest View Hospital is committed to helping people get the care they need when they need it most. If you or someone you know needs immediate assistance, our trained staff is available around the clock to answer questions, offer no-cost assessments or help you find treatment options that meet your needs. Our inpatient psychiatric treatment programs offer crisis intervention and stabilization for children, adolescents and adults who would benefit from care in a secure therapeutic environment. Our no-cost Assessment and Referral Center is available 24/7 to help you or a loved one find the services that best meet your needs. Our Child and Adolescent Program provides diagnosis and treatment for youth with emotional or behavioral difficulties. Services include Eye Movement Desensitization and Reprocessing, Dialectical Behavioral Therapy and substance abuse treatment. Our Partial Hospitalization Program (PHP) offers a structured course of treatment for children, adolescents and adults who are able to remain in their communities during care. Our specialty programs include treatment for those who struggle with eating disorders, psychological trauma or co-occurring disorders (substance abuse and mental illness). 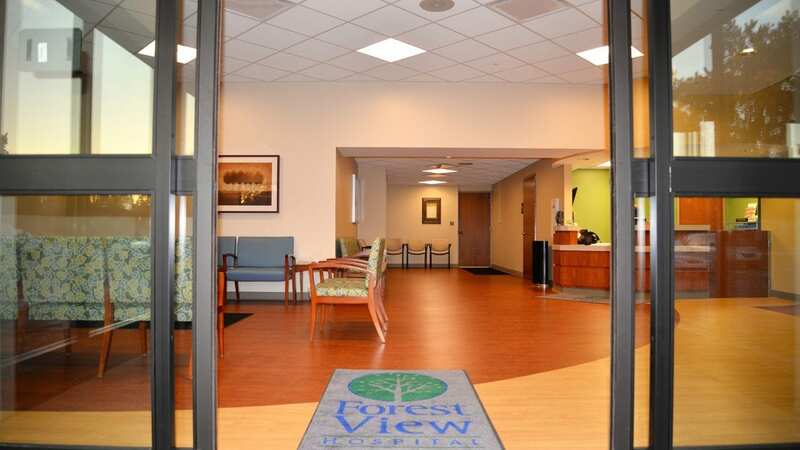 Forest View Hospital is licensed by the State of Michigan, fully accredited by The Joint Commission, and has served patients in Grand Rapids for over 45 years. Forest View Hospital’s inpatient program provides treatment in a secure and structured therapeutic environment with a multidisciplinary approach to each patient’s challenges and issues. Our inpatient psychiatric treatment is designed for children, adolescents and adults who are at risk to themselves or others; who require crisis intervention and stabilization and are unable to function at home, school or in a less-restrictive setting. Forest View Hospital’s inpatient programs provide individualized treatment and each patient is truly a part of their treatment team. Our inpatient facility holds individual units for children, adolescents and adults, and structured programming is held seven days a week with both group and family therapies. For patients needing a step-down transition from acute inpatient care or an alternative to inpatient treatment, Forest View Hospital offers a Partial Hospitalization Program (PHP). The Partial Hospitalization Program is a structured course of intensive psychiatric treatment that operates from 9:00 a.m. – 3:00 p.m., Monday through Friday. This unique program serves as an important component to the continuum of care for persons who are able to remain in the community during treatment and whose symptoms are too acute to benefit from weekly outpatient sessions. We also offer a medication management clinic to provide outpatient medication management services to the community. In addition to our other programs, Forest View Hospital offers specialized eating disorder treatment, psychological trauma treatment and co-occurring disorder treatment for those dealing with substance abuse and mental illness. Forest View Hospital is committed to providing comprehensive treatment for all types of mental illness. We believe that each person is unique and treatment is designed to meet the specific needs of each individual. The focus of treatment is practical and solution-focused, with an emphasis on symptom reduction and learning healthy coping skills. Most health insurance plans are accepted for these programs, including Medicare and Medicaid. I have received exceptional care while here, from every single staff member. I feel as if I am cared about. So this is my attempt to formally thank everyone for helping me get well. I learned so much about myself and realized that the staff and even patients worked in a unique way to help me be my bestest, strongest and brightest, to be a better person when the time came later. I have been in therapy for over 20 years and I actually learned new concepts and ideas as to how to cope, and manage emotions. I rarely hear new material in any type of therapy and it was quite helpful. I think they do a very good job, just keep it up, there are a lot of people that need the help you provide here. The staff here are great, the food is top of the line, treatment works, the meeting works, all you have to do is want it. God blesses you all. Great Job. I appreciate everything you all did this inpatient stay for me. I’m so thankful for how you all treated me as I was suffering so bad. Build the career of your dreams and join a team of professionals passionate about helping people at Forest View Hospital. Forest View Hospital was named one of the nation’s Top Performers on Key Quality Measures by The Joint Commission. As a proud supporter of the National Action Alliance on Suicide Prevention, we provide education and resources to the communities we serve. To better serve patients and their families, Forest View Hospital offers support groups and regularly scheduled self-led AA meetings. 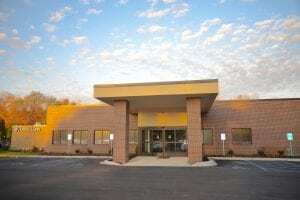 Our tranquil, private campus is located seven miles southeast of downtown Grand Rapids, Michigan. We treat our patients in a secure, nurturing therapeutic environment. Forest View Hospital offers treatment programs for children, adolescents and adults. Our Partial Hospitalization Program (PHP) offers a transition from acute care or an alternative to inpatient treatment.